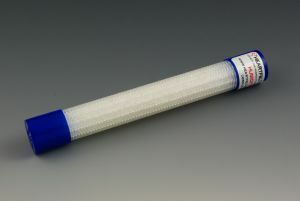 Medium 65% Rh (BLUE Cap) Heartfelt Beads Humidity Tube Discounts Apply ! Got two of these for my desktop humi's. The size and shape are perfect. They lie beside the cigars nicely and do not get in the way of storage. Keeps humidity stable with minimal maintenance. I highly recommend Heartfelt Humidity Beads.